When looking for the latest in Nike soccer shorts, there is no better source than soccerloco – the leading online soccer store. Nike shorts are designed to help you make the most of your training and game sessions by preventing any discomforts that can hinder your game. We offer a diverse selection of Nike women's soccer shorts, Nike men's soccer shorts and Nike youth soccer shorts at the best prices online so that players of all ages can take advantage of Nike's leading apparel technology. We also offer hassle free returns and low cost flat rate shipping so that you can save significantly by shopping online at soccerloco. Shop from our selection of Nike soccer shorts for men and women to take your game to the next level of performance. At soccerloco we believe everyone should have the same opportunity to progress your game to the next level, so your training gear should not hinder you in doing so. Soccerloco answers that call with the largest selection of Nike soccer shorts for women and men online. When looking for Nike soccer shorts men often pair their training shorts with compression shorts for more comfort. soccerloco offers a large selection of Nike men's soccer shorts that includes both training shorts and compression shorts for males of all ages. Similarly, when looking for Nike soccer shorts women often choose to pair their training shorts with compression shorts. Our selection of Nike women's soccer shorts includes a diverse offering of training shorts and compression shorts so that you can find the perfect pair for you. 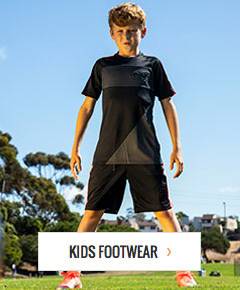 Also, as the largest retailer of youth gear, soccerloco offers a huge selection of Nike youth soccer shorts so that young players can develop their skills without the nuisance of uncomfortable shorts. Browse our diverse selection of shorts today. As the leading online soccer store, soccerloco offers the widest selection of Nike soccer shorts for men, women and youth players of all skill levels and playing style. We offer the largest selection of Nike men's soccer shorts at the lowest prices online so that players can find the right shorts at an affordable. Similarly we also offer the best deals on Nike women's soccer shorts and Nike youth soccer shorts to help you save. Order today to take advantage of our hassle free return policy and affordable flat rate shipping on all orders of Nike shorts. Shop for your next pair of Nike shorts today at soccerloco to take your game to the next level.